Two months after the death of Linkin Park frontman Chester Bennington, his surviving bandmates are gearing up to take the stage for the first time since his passing – and it’s all for Chester. After days of hinting at an upcoming announcement as to the state of Linkin Park, the band took to social media this morning where they announced an upcoming tribute show slated to take place next month at the Hollywood Bowl, promising a star studded celebration of Bennington’s life with a yet to be announced list of special guests paying tribute as well. 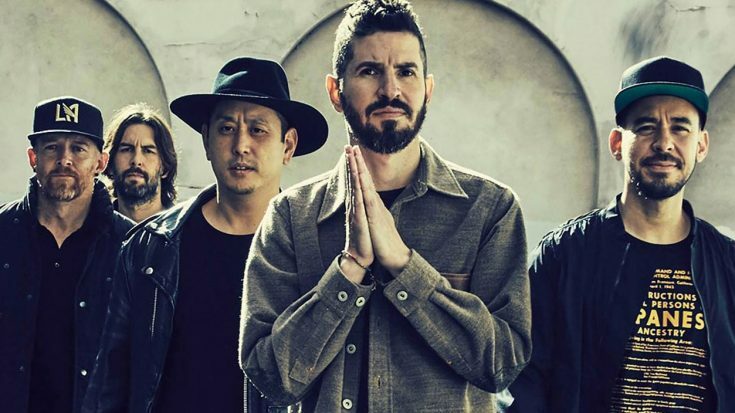 Announced alongside a special music video for “One More Light” directed by Bennington’s bandmate Joe Hahn and longtime band videographer, Mark Fiore, the tribute show takes place on October 27th with pre-sales beginning tomorrow (September 19th) and general on-sale on Friday (September 22nd). In honor of both Bennington’s life and the struggles he endured, each member of Linkin Park plans to donate their fees from the concert to Music For Relief’s One More Light Fund. Linkin Park’s fate after next month’s tribute concert is understandably still unknown; however they decide to proceed with their career, be it together or as separate entities, our thoughts and prayers are always with the guys in Linkin Park and if you can’t make it to the show but would still like to donate to Music For Relief’s One More Light Fund, you can do so here.